The travel agency business changes fast and requires a healthy cash flow to keep up with competitors. After years of declining sales, the travel industry is on the rebound. Industry analysts predict continued growth, making this the perfect time for your travel agency to expand operations, make upgrades or explore new ventures. Traditional lenders view travel agencies as “high risk” businesses and make it difficult to acquire small business loans. At Business Lending Authority, we offer small business loan alternatives that will get you travel agency financing to help you thrive. With our easy application and approval process, you could have $1,000 to $1,000,000 of travel agency financing in your bank account in as little as 48 hours! Whether you want to focus on non-air bookings, or are looking for ways to make more money from service and transaction fees, Business Lending Authority is here to provide the travel agency financing to help you grow your business. Banks and other traditional lenders make it nearly impossible to qualify for a small business loan. They have lengthy application processes, and require immaculate credit scores, pristine income statements and several years of tax returns. After jumping through all of these hoops, it will take months to find out if you qualify. Applying for travel agency financing with Business Lending Authority is a simple and easy process. We’re willing to work with bad credit and won’t keep you waiting to hear if you have been approved. After submitting an application, someone from our team will contact you within a few business days to let you know if you qualify. And with our 90% approval rate, there’s a great chance that you can have $1,000 to $1,000,000 in unsecured business financing deposited to your bank account in two days! It’s that simple. 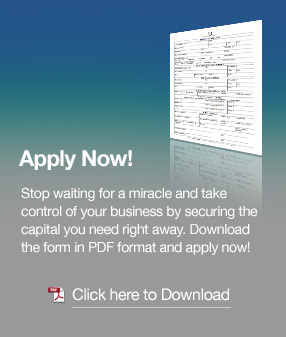 Speak with a Business Lending Authority representative to complete a few easy steps, after filling out the application. Must be a travel agency business that has been operating for at least 6 months. No startups. No home-based businesses. The travel agency business is stocked with stiff competition. The team of travel experts at Business Lending Authority knows how the internet age has impacted brick and mortar travel businesses, and how decreased airline commissions have cut away at your profit margins. Travel agency financing can help you combat market fluctuations and continually evolve in this ever-changing industry. With our service, you can apply for additional unsecured business financing after you’ve paid back 70% of your original cash advance. The additional financing can be used to satisfy cash flow problems or to revamp the company website. Traditional lenders require 95% to 100% of initial travel agency loans to be repaid before they will let you reapply for more financing. And they make you go through the entire application process again. During which time, you could miss out on the lucrative student travel boom during spring break or lack the funding to implement high-flying strategies that bring in bigger commissions. Traditional lenders place a number of restrictions on small business loans. Even if you are approved, they take months to provide access to travel agency loans and impose restrictions on how the funds can be used. 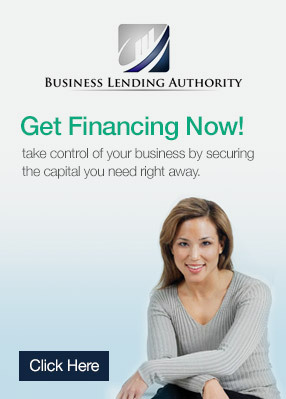 Business Lending Authority cuts through the red tape with our fast and hassle-free unsecured business financing. We trust your judgment and know that overseeing your business everyday has given you an expert understanding of its needs. 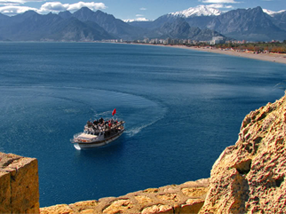 With our travel agency financing, you will have the flexibility to use the cash advance however you see fit. Stand out from the crowd with travel agency financing from Business Lending Authority. There are thousands of travel agencies operating in the U.S., and many close each year due to consumers bypassing travel agents altogether and booking directly with hotels, airlines, cruise companies, and car rental agencies. With travel agency financing from Business Lending Authority, you can redirect your business’ approach and adapt to changes in the market to remain profitable. Whether you want to target lucrative niche sectors such as cruises, destination weddings, honeymoons, and group travel, or streamline your sales process to provide customers with more booking options, our business financing will help you increase your client list. Simply fill out the form on the side of this page to get started, and get the travel agency financing you need to make your business the preferred choice of travelers everywhere!